Senior: Senior hurlers won their second game of the 2016 County Championship, beating Templederry Kenyons on a scoreline of 1-27 to 2-13. Our next and final group game will be against Mullinahone-CJ Kickhams, with a date and venue yet to be confirmed. 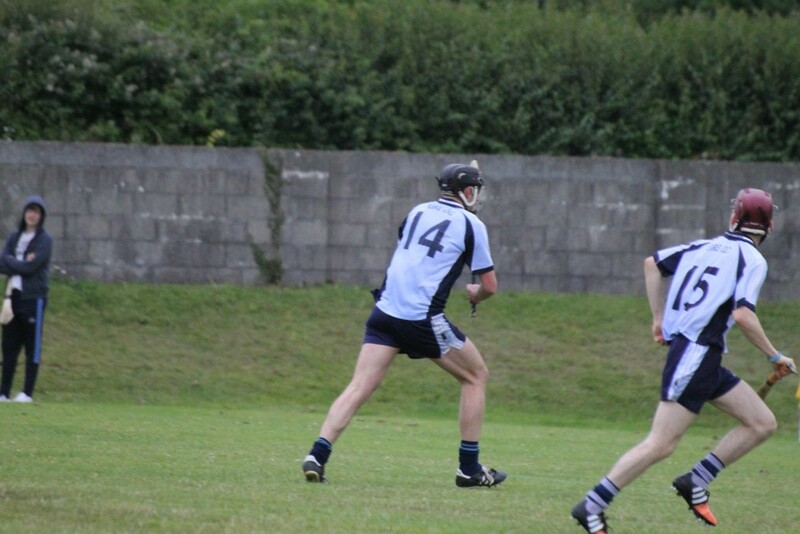 Junior: Junior B hurlers overcame Moneygall by 1-13 to 0-14 in Moneygall on Friday Night. They next play Newport, in Newport on Monday May 2nd at 7:00 p.m.
Minor: Our Minor Footballers play Newport in Nenagh this Wednesday at 7:00 p.m.
– Cash Prizes every week and month. All current members will receive the new brochure with your receipt in the post before the end of April, or you can contact your draw promoter in advance of that. With the club receiving 50-70% of your subscription as commission for your membership we hope you will continue to support this fundraising imitative. In recognition of our supporters who want to become club members, contribute to our weekly lotto and also support the Tipperary GAA Club Members Draw, we have developed some very attractive combination discounted packages for 2016/17 – Contact any committee member or county draw promoters for further details. Under-16 Our Footballers defeated Kilruane in Cloughjordan on Monday night last in Round 5 of the championship on a scoreline of 2-13 to 2-10. Well done to the boys! The win sets up a semi-final meeting with Lorrha/Shannon Rovers in Ballinderry on this Monday night at 6.30pm. Please come out and support the team. Best wishes for a speedy recovery to Sean Shanahan who was injured in the minor game on Wednesday. Under-14 Our footballers were beaten by Inane Rovers in their second group game of the championship played last Wednesday evening. 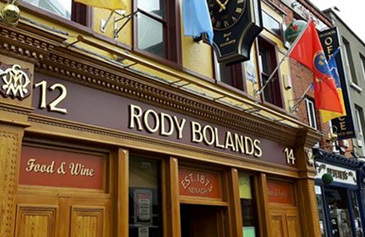 They travel to Dolla this Wednesday to play Silvermines at 6.30pm in round 3. Under-12 Our under-12s put in a great performance in the semi-final on Friday last but unfortunately came up short at the final whistle, so that is the end of the football for the moment. Hurling training as usual this week and the hurling championship will start in a few weeks time so full attendance at training is essential. Under-8 Great turnouts for Under-8 training. Matches will be organised over the next few weeks. Keep up the good work boys! Under-12: We were beaten by Kilruane MacDonaghs on Thursday last. Mentors will be in touch with the details of our next game. Under-14: Our game v Eire Og Annacarthy was postponed and we are playing Toomevara in Nenagh Thursday at 6pm. Under-16: Our game against Cashel this Tuesday is postponed until a later date. 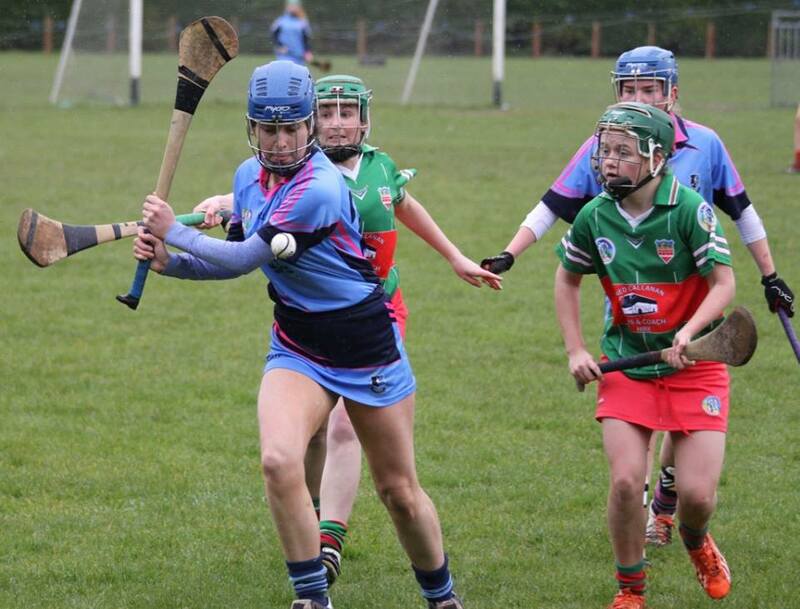 Intermediate: We face Drom and Inch on Saturday next in the county league final in The Camogie Grounds, The Ragg. This is a massive game for our club and the girls would really appreciate your support. Please check our website and social media for details of the game during the week. Tipperary: The All Ireland minor final ended in a draw on Saturday last with the replay expected to take place this Saturday. Best of luck to all our players on the panel. Also good luck to the Tipperary under-14’s who take part in the Clare blitz on bank holiday Monday. Megan Morris, Ella Carey and Abbie Sheedy are the Nenagh girls involved. Ahead of the Intermediate Camogie League Final, A Sportsman’s Dream have kindly sponsored a brand new set of jerseys for the club. Pictured here is Deirdre Hughes, presenting the jerseys to Nenagh Intermediate Captain Grace O Brien, and Vice Captain Louise Hickey. 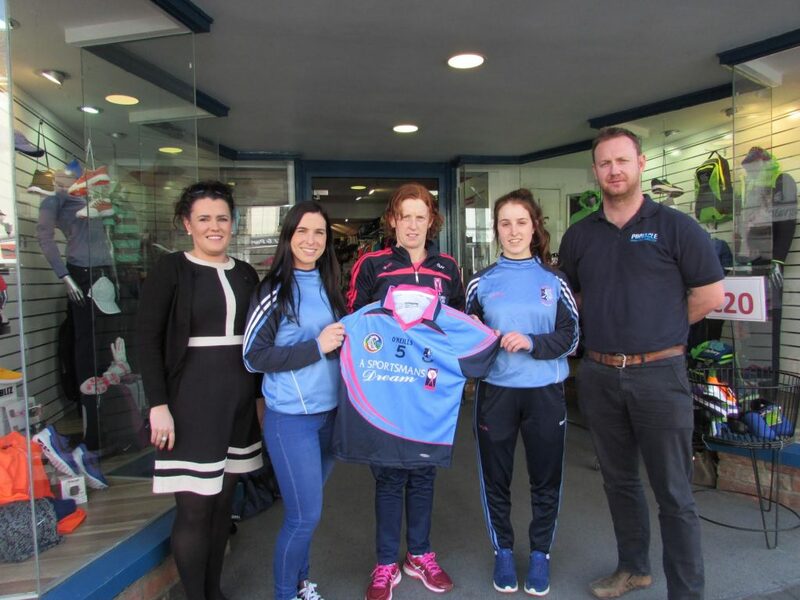 They have been very good to Nenagh Éire Óg over the years, in recent times they have been the main sponsor of our Juvenile GAA teams and now they have extended their kindness to our Camogie teams. Nenagh Éire Óg would ask all our members to shop local whenever possible, and when looking for sports items to please remember our generous sponsors. Photo left to right – Caitriona Morris (Chairperson, Nenagh Eire Og Camogie Club ),Louise Hickey (Vice Captain) Deirdre Hughes (A Sportsmans Dream), Grace O Brien (Captain) and Paul Henry (Intermediate Manager). Senior: Our Senior Hurlers play Templederry Kenyons this Sunday in Dolla at 2 p.m, in the second round of the County Senior Hurling Championship group stages. Junior: The Club’s Junior A team drew with Kilruane MacDonaghs on Saturday in the Junior A League, with a scoreline of 0-17 to 2-11. The team now progress to the League Semi-Final, details of which will be posted to our website as soon as they are available. Our Junior B hurlers got their League Campaign off to a winning start on Sunday, with a 20 point to 2-12 victory over Borris-Iliegh. 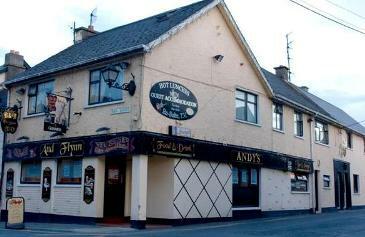 They play Moneygall at 7 p.m this Friday in Moneygall. Minor: Our Minor Football team ran out 2-11 to 2-09 victors over Kildangan on Wednesday evening. They play a Moneygall/ Clonakenny combo this Wednesday in Moneygall at 7 p.m.
Lotto: Congratulations to last week’s winner of the Nenagh Éire Óg Lotto Jackpot of €2,700. If you would like to be in with a chance of winning our next Jackpot, tickets can be purchased on the club website. Under-15s: Our Under-15 footballers were defeated by Borrisoleigh on Monday last on scoreline of of 5-4 to 3-7 with the winning goal arriving at the death of the game. We play Kilruane in the final round on Monday night in Cloughjordan at 6.30pm with a place in the semi-finals at stake. Under-14s: The Under-14 football team had a 1-5 to 1-3 win over Toomevara in the first round of the championship last Wednesday evening. Well done to the boys! The next match is against Inane Rovers this Wednesday at 6.30 in Nenagh. Under-12s: Our under-12s final takes place this Friday against the Silvermines in Dolla. Football training as usual this week. Under-12: We were beaten by Burgess on Friday evening last in a fantastic game in MacDonagh Park. Our next outing is this Friday when Kilruane MacDonaghs travel to Nenagh. Under-14: We travelled to Dundrum on Monday last to take on Knockavilla-Donaskeigh Kickhams. We did not have the result at the time of going to press. Under-16: We were beaten by Éire Óg Annacarthy on Sunday. Hard luck ladies. Our next game is against Cashel Camogie Club and mentors will be in touch with the details. Tipperary: Congratulations to the county minor team who defeated Cork in the All Ireland semi final on Saturday last. We had five girls on the panel: Grace O Brien, Sarah Quigley, Ruth Hassett, Maeve Coffey and Hazel McAuliffe. Also involved was Kiladangan player and Nenagh Handball Club star Sinead Meagher who scored three goals. The final is on this weekend against Galway and we hope a huge crowd from the club travels to support the girls in the final. 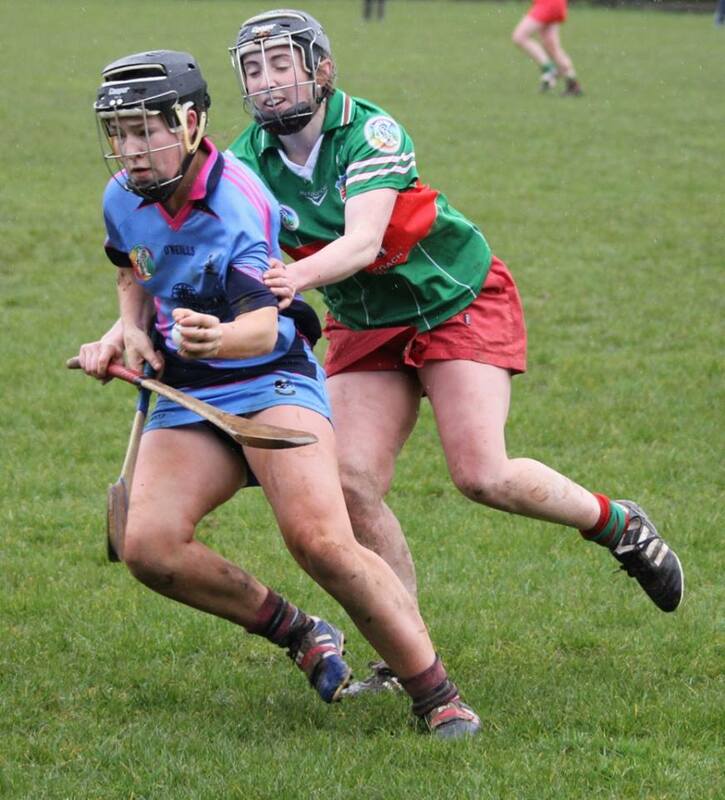 Alanna Morris was part of the senior panel beaten by Kilkenny in the league semi final on Sunday last. Hard luck to them. Our Senior Hurlers opened their 2016 campaign with a 1-15 to 0-14 defeat to Kiladangan. The second group game versus Templederry takes place in two weeks time. Our Junior A hurlers maintained their unbeaten start to the League with a 2-15 to 1-11 victory over Borris-Iliegh in MacDonagh Park. Their next game is against Kilruane MacDonaghs this Saturdayat 5 p.m in MacDonagh Park, Nenagh. 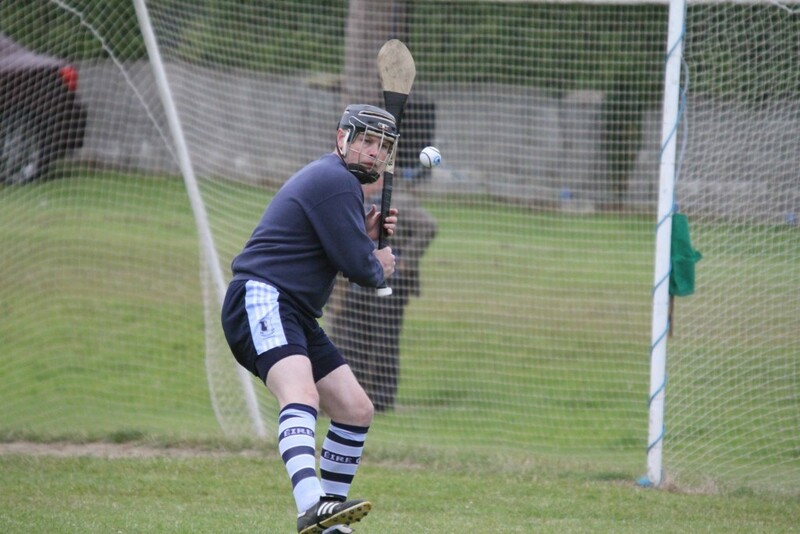 Our Junior B hurlers play Borris-Iliegh at 1 p.m in Borrisoleigh this Sunday. The club’s Minor Footballers play Newport in Puckane on Wednesday evening. Under-6: Fantastic turnout at Under-6 training every week from the newest members of our club and great to see such enthusiasm each week. Please note mid week training for U6’s will not be commencing until further notice. Under-8: Training continues on Wednesday at 5.15pm. Keep up the great work! Under-12: Our Under-12s played Borrisokane in a Friendly hurling match on Saturday Morning. Training as usual this week. Under-14: The Peadar Cummins annual Under-14s tournament will go ahead this Saturday morning in Borrisoleigh. Best of luck to our players, Paul McLoughlin and Josh Keller and the North Tipp team. Under-16: Our Under-16 footballers have now completed three rounds of the championship. After defeats to Lorrha/Shannon Rovers and Inane Rovers, the lads bounced back with a hard earned victory over Ballina on Monday last on a scoreline of 0-11 to 2-3. Well done to the lads! We play Borrisoleigh in Round 4 in Nenagh on Monday at 6.30pm. Date for diary: Annual Mid Summer run is on Sunday June 12th. Intermediate: Our intermediate side had a great win over Silvermines in the county league semi final on Saturday morning last. For a full match report please see our website and for a series of photographs from the game please see the club Facebook page. 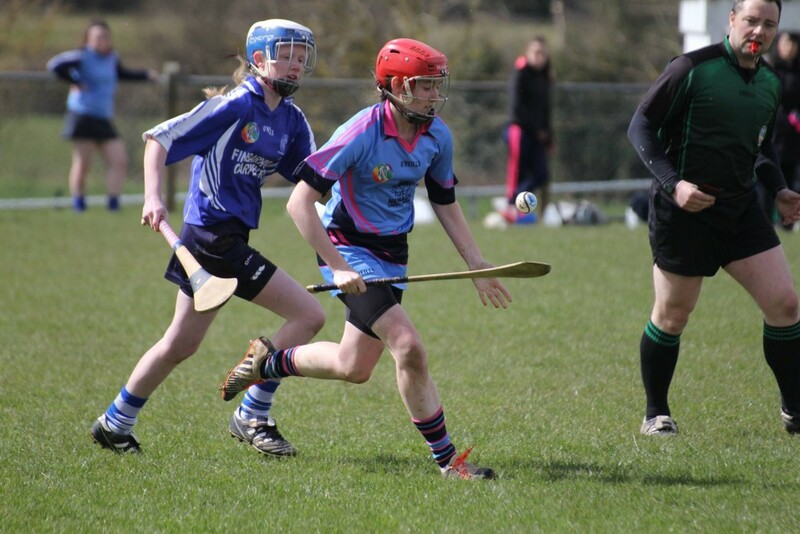 The League Final is fixed for Saturday, April 30th, 2pm in The Camogie Grounds in The Ragg against Drom and Inch. Under-16: We were due to play both Cashel and Eire Og Annacarthy last week but both games had to be postponed due to the weather. We have no details as yet as to when they will take place. Under-14: Our match against Toomevara on Monday was called off. The rescheduled fixture will be available on our website as soon as possible. Under-12: Our game against Newport was postponed and has yet to be re-fixed. We are due to play Burgess on Friday at 7pm in Nenagh. Clothes Collection: We wish to thank everyone who kindly donated to our clothes collection on Saturday last and to all those who helped out collecting the clothes in the complex especially Maria Sheedy and Catherine Kennedy. Sponsored Walk: Our annual sponsored walk was due to take place on Sunday last but was postponed due to the adverse weather and it will be rearranged for a future date. Training: Training continues for all teams at the usual times. Please contact the management of your team to confirm time and days of training. New players and those who are thinking of coming out of retirement are always welcome. Tipperary: Best wishes to both the Tipperary senior and minor teams who are in action this coming weekend and especially to our representatives on both panels. Féile na nGael: An important information leaflet for all parents and guardians of players involved in the upcoming Féile na nGael will be available on Thursday evening. Please ensure that you get a copy. Nenagh Éire Óg qualified for the intermediate camogie league final today following a great 4-7 to 1-9 victory over neighbours Silvermines. In fact, it was Silvermines who started brightest creating three scoring opportunities in the opening few minutes, hitting two wides and forcing Sarah Quigley into making the first of many fine saves in the second minute from a ground shot however it was Éire Óg who made the first dent on the scoreboard with a pointed free from Ciara McGrath. The ‘Mines responded with a pointed effort of their own before a Ciara McGrath delivery into the penalty box created panic in the ‘Mines defense. The ball eventually broke to Maeve Coffey who blasted home the opening goal in the 8th minute. Silvermines responded with a point soon after however in the 11th minute Alanna Morris gathered the sliothar on the ’45 and her effort at a point dropped short and with strong pressure from full forward Louise Hickey the ball ended up in the goal for a welcome but fortuitous goal for Nenagh. The Silvermines were plying their trade in the senior grade up to two years ago and they were not about to lie down to last years county Junior-A league and championship winners and pointed five times on the trot between the 20th and 27th minute. On the stroke of half time Alicia Hallinan forced the ‘Mines keeper into making a superb point blank save but moments later Hallinan pointed to leave the score at Nenagh Éire Óg 2-2 Silvermines 0-7 at the break. Nenagh started the second half brightly and after Sarah Quigley collected a high ball the sliothar was brilliantly worked up the field to Caroline Browne who pointed from a tight angle to extend Nenagh’s lead. Alanna Morris traded points with Silvermines and midway through the second half Zoey Gratton won possession and found Maeve Coffey with a great pass. Coffey in turn fed Browne who shot home Nenagh’s third goal. Ciara McGrath pointed soon after which in turn was cancelled out by a fine Silvermines effort. With ten minutes to play Coffey showed her class when she superbly found Caroline Browne who once again goaled for the Blues’. Nenagh were on top at this stage and captain Louise Hickey played in Rachel O Connor who pointed herself and substitute Leah Sheedy got in on the scoring act, pointing in the 57th minute. Silvermines bravely never gave up and it took two outstanding moments of brilliance from Sarah Quigley to deny them a goal in the 59th minute when she made a great double save. From the resultant 45 Silvermines worked a great goal but it was too late and soon after referee John Lillis sounded full time to leave it Nenagh Éire Óg 4-7 Silvermines 1-9. The final is expected to take place on Saturday April 30th. Nenagh Éire Óg: Sarah Quigley, Amy Heffernan, Rachel Maher, Kate O Connor, Ruth Hassett, Aileen Duggan, Zoey Gratton, Alanna Morris, Rachel O Connor, Emer Ryan, Ciara McGrath, Alicia Hallinan, Caroline Browne, Maeve Coffey, Louise Hickey (captain). Substitutes: Holly O Brien for Maher, Leah Sheedy for Hickey, Sarah Kennedy for Hallinan. Our Junior A team survived a late comeback by Borris-Iliegh to run out 2-15 to 1-11 winners and keep their unbeaten start to the League intact. The game was slow to start, but was a good and entertaining encounter despite the poor conditions. Willie Bolger opened the scoring for Nenagh in the 8th minute, a score followed swiftly by points from Darragh Walsh and Bob O’Brien. Two quick points from Borris’ closed the gap to the minimum, before points from David Cleary and Bob O’Brien gave Nenagh a two point advantage. The Blue’s lead was stretched to 6 points following three points from Darragh Walsh, 2 frees and a long range point from midfield. Borris-Iliegh responded with two pointed frees either side of points from Darragh Walsh and Christopher Ryan, leaving Éire Óg with a half time lead of 10-0 to 0-04. Johnny Cahalan was introduced in place of Aidan Healy for Nenagh at half-time and made an instant impact, with a point in the 31st minute. This was followed immediately by the opening goal of the game, as Christopher Ryan found the back of the net following an excellent solo run from the half forward line. Borrisloeigh responded with a free, however a Willie Bolger goal in the 35th minute, followed by two quick frees from Darragh Walsh would leave the score at 2-11 to 0-05 after 40 minutes, and left Borris-Iliegh with a 14 point deficit to close. Borris-Iliegh would score 4 of the next 6 points, with David Cleary and David Hackett, a 38th minute substitute for Adam Carey, scoring the Blue’s points. A 55th minute goal for Borris’ set up an exciting finish, however they had simply left themselves too much to do. Nenagh’s defence held firm as Borris’ went looking for more goals, managing only two more points, leaving the final score at 2-15 to 1-11. The Nenagh Éire Óg Senior Hurlers play Kildangan this Saturday in the opening group game of the Senior Hurling County Championship. The game is fixed for 6:30 p.m. in Dolla. The club would encourage anyone who can to come out and support the team. Our Junior A Hurlers play Borris-Ileigh in the League this Friday evening. The game is fixed for 6:00 p.m in MacDonagh Park, Nenagh. The Junior B League game against Borris-Ileigh on Saturday last was called off due to the pitch being deemed unplayable. This rescheduled fixture will be posted to the club’s website as soon as a new date is set. Our Minor Footballers play Newport this Wednesday at 6:00 p.m in MacDonagh Park, Nenagh. County Board Draw: Can all County Board Draw Club promoters please contact Marion Ryan ASAP to bring their accounts up to date. There was no winner of this week’s Lotto. Next week’s Jackpot is €2,600. Support the Blues by playing online now! Under-8s: Great turnout for the Under 8s for the last month, keep up the great work! Training continues on Wednesday at 5.15pm. Under-12s: We were beaten by Ballina in a fantastic game of football in tough conditions. Hard luck to the boys. Training as usual this Friday evening. Well done to our 4 representatives, Conor Hennessy, Liam Heffernan, Cian Griffin and Gavin Dooley and also to their mentors Shane Connolly and Michael McNamara on their great run with the North Tipp in the Under 15 Roger Ryan County tournament on Saturday. They narrowly lost out to South Tipp on points difference. Under-14s: The first round of the Under 14 football championship starts this Wednesday against Kilruane in Nenagh at 6.30pm. All support welcome. Under-16: We played Newport on THURSDAY AT 6;45 in the opening game of the championship and were on the wrong end of a 2-11 to 1-3 scoreline which does not tell the true nature of this game. For a full match report please see our website. Under-14: We played Éire Óg Annacarthy on Monday evening in the opening round of the championship. We did not have the result at the time of going to press. Please see our website for the result of this fixture. Under-10 and under-12: Training continues for these teams on Monday and Thursday from 17:30-18:30. New players are always more than welcome. Under-8: Training for this group is Thursday from 17:30 to 18:30. New players are welcome. Clothes Collection: We are holding a clothes collection this Saturday April 9th between 10am and 12am in MacDonagh Park. Please bring along all your unwanted clothes, bed linen, curtains, shoes etc to help us raise some badly needed funds. If you cannot make it on the day please contact a committee member who will be delighted to collect your bags prior to the collection. Registration: This is the final week for registration to be paid. Please pay the manager of your team or any committee member if you have not already done so. Sponsored Walk: Our annual sponsored walk will be leaving MacDonagh Park on Sunday at 3pm. Best of luck to all involved. Tipperary: Well done to the Tipperary minor side who had a great win over Offaly at the weekend and have now qualified for the All Ireland semi final against Cork on April 16. We have five girls on the panel, Ruth Hassett, Grace O’ Brien, Hazel McAuliffe, Maeve Coffey and Sarah Quigley and we wish them well against Cork. The Tipperary under-14s reached the final of the Limerick blitz at the weekend and the club were represented by Megan Morris, Abbie Sheedy and Ella Carey. Well done girls. With both teams already through to the league semi finals today’s game was all about deciding the final positions in the group and with the result going Drom & Inch’s way they now finish in first place with ourselves in second position. With heavy rain over the previous 24 hours making underfoot conditions difficult this game was never going to be one of free flowing hurling and scores were always going to be at a premium and this proved the case today as both sides battled hard throughout. 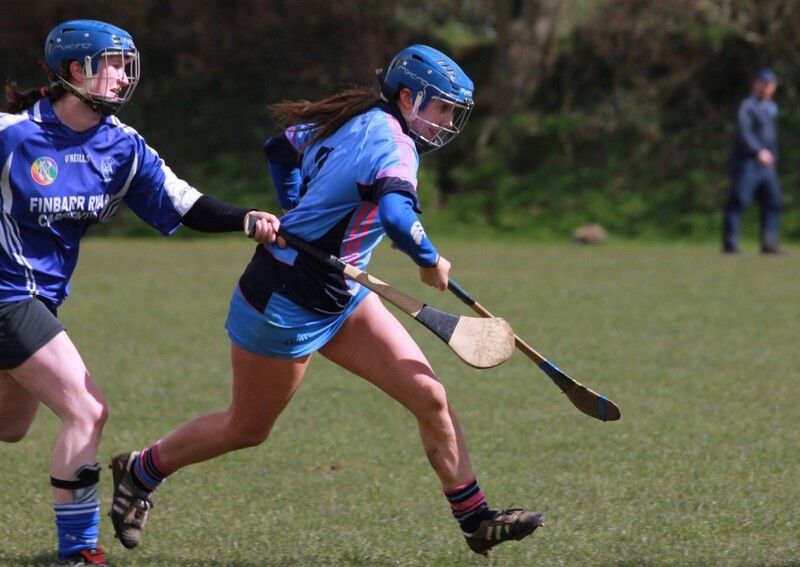 Nenagh got the dream start as within the first 30 seconds Leah Sheedy pointed to open the visitors account but Drom levelled proceedings in the 7th minute with a fine point of their own. Nenagh were creating chances and will be disappointed to see so many of them drop short into the willing hands of the Drom goalkeeper who herself had a great game. In fact in the 16th minute she proved her worth after Caroline Browne fed Maeve Coffey with possession and she blasted a ball towards the top corner but somehow the net minder got her hurley to it. Two minutes later Drom took the lead from a pointed free only for Ciara McGrath to slot one of her own over to leave the half time score at 0-2 apiece. Drom blasted out of the blocks at the start of the second period and shot four unanswered points between the 36th and 41st minutes. This opened up a gap that, try as Nenagh might, they could never close. Things looked like they were going to get worse for the Blues when a Drom forward pulled on a breaking ball only for Niamh Sheridan in the Nenagh goal to make a fine stop. The ball was worked up the other end of the field and after great work from Sarah Kennedy, Caroline Brown saw her goal bound effort blocked once again by the Drom goalkeeper. To be fair Nenagh battled hard and manager Paul Henry, while disappointed with the result, with be thrilled with the work rate of his charges who time and again forced their opponents into over carrying. One such time was in the 48th minute out on the sideline and Ciara McGrath brilliantly fired over the resultant free. Alanna Morris added another pointed free after she herself was fouled to narrow the gap to two. Drom pointed themselves shortly after and there was time for some late drama as Alanna Morris fed the impressive Caroline Browne possession and her screaming shot went agonisingly across the face of the Drom goals. 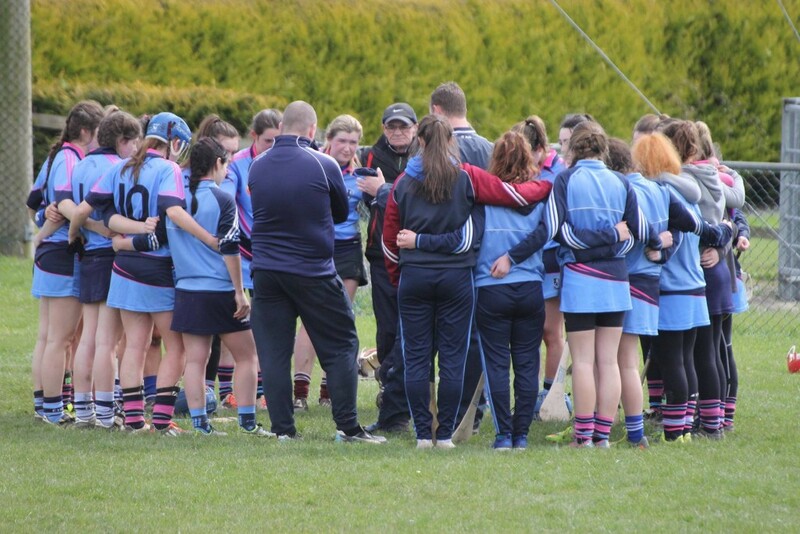 Nenagh: Niamh Sheridan, Amy Heffernan, Aileen Duggan, Kate O Connor, Kristen Howard, Zoey Gratton, Emer Ryan, Ciara McGrath, Rachel O Connor, Caroline Browne, Alanna Morris, Maeve Coffey, Holly O Brien, Vanessa Tynan, Leah Sheedy. Subs Sarah Kennedy for Tynan, Hazel Coffey for O Brien and Laura Tierney for Sheedy.